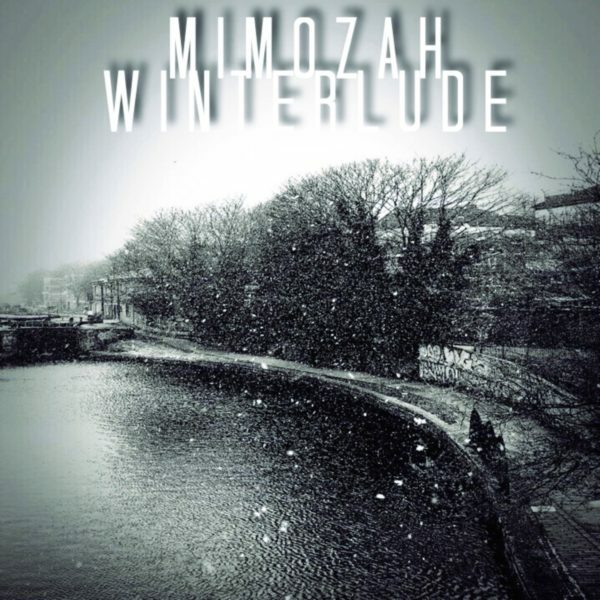 If you’ve liked Bjork’s last couple of albums, which found her doing abstract songs devoid of any real choruses, then you’re in for a veritable treat with Mimoza H’s magical ode winter, and the vibes that come with it, “Winterlude.” I’m listening to it on a snow day, as another several inches were dropped on us overnight and early this morning, and it’s just what the doctor ordered. I’m looking out the window and the snow looks so beautiful, but it’s also dangerous because the roads are covered in it and even after they plow they still get icy and cause car accidents aplenty. There’s a strange contrast between how snow appears when it’s freshly fallen and how it looks once it’s covered in dirt on the side of the road. I feel like this song takes you from one extreme to another. It starts off sounding divine as Mimoza’s ethereal vocals glide over jazz pianist Jonathan Cayer’s haunting piano. But, as it progresses, it’ll leave you feeling like you’re standing outside in the snow when it’s so heavy that you can’t see what’s two feet in front of you and find yourself worrying that you’re going to be buried alive in the stuff. I imagine this would work splendidly as score in a movie. Perhaps in a suspense thriller that takes place during the winter. I imagine the protagonist fleeing from her captors, and she comes to the edge of a frozen lake, and her only chance of survival is to run across it and hope that the large men who took her will be too afraid of falling in to follow her. She’s a small girl, barely a hundred pounds, so she thinks she’ll be safe, but there’s only one way to find out and she’ll either achieve freedom or die a horrible death, drowning in freezing water, trapped under ice. I imagine the ice starting to crack below her as “Winterlude” reaches its loudest peak… How it ends is anyone’s guess. But the abstract song fills my head with images like that.